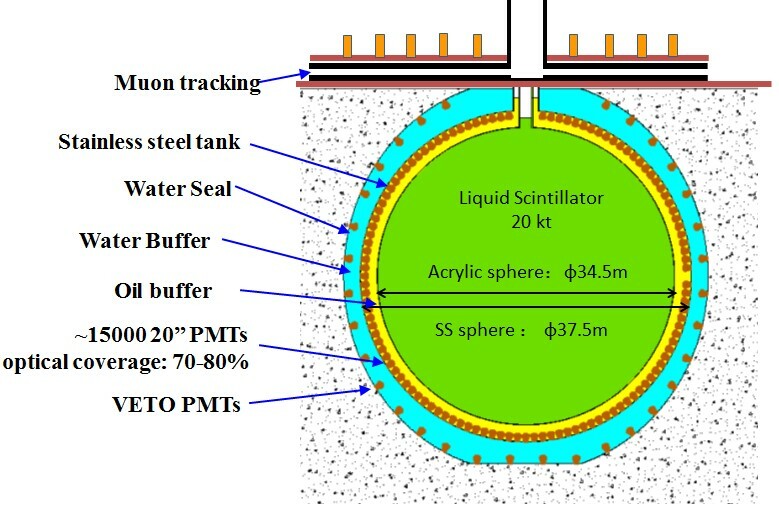 The Jiangmen Underground Neutrino Observatory (JUNO) announced on February 21st that Tangchen New Materials Technology Co., Ltd, based in Jiangsu Province, will be the producer of the acrylic sphere for the JUNO central detector. A signing ceremony for the agreement was held on the same day at the Institute of High Energy Physics, Beijing. The acrylic sphere of the JUNO central detector will be a kind of plexiglas ball, with the world's largest diameter for such a structure. Wang Yifang, IHEP director and manager of the JUNO Project, expressed that although there might be some difficulties, he believed that both sides could complete the task on time and to a high standard of quality. The central detector will be filled with 20,000 tons of LAB (linear alkyl benzene)-based liquid scintillator. When neutrinos go through the detector, a very small number of them will interact with the liquid scintillator, producing scintillation light, which should be seen by the 15,000 20”photomultiplier tubes (PMTs) surrounding the central volume. The water pool protects the central detector from natural radioactivity in surrounding rocks. It will also serve as a water Cherenkov detector, after being equipped with PMTs, to tag cosmic muons. Another muon tracking detector will be installed on top of the water pool, to improve muon detection efficiency and get better muon tracking.